Multiple features and a large LCD display make this meter ideal for beginning electronics courses. 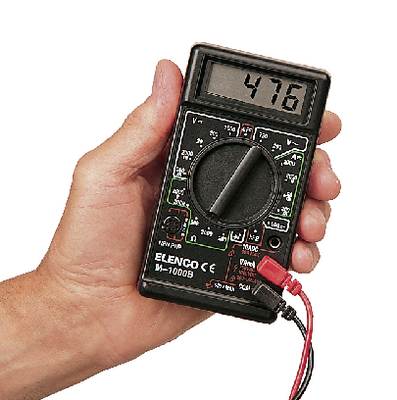 The meter includes volts, ohms, resistance, and current testing plus transistor and diode testing. The meter features overload protection and includes battery and test leads. Instructions are included.